While women have made up 50 percent of Newark's population from the beginning of time, historical records do not always record their many accomplishments. Books, newspaper clippings, periodical articles, documents, motion pictures, memorabilia and even new electronic information sources tend to record more male accomplishments. We cannot remedy that situation, but we can try to even the score a little. First, we'll concentrate on a few local writers who deserve to be remembered. Keep in mind that this is just a sampling, not all-inclusive. We'll begin with Jemima Cundict, who describes in her Revolutionary War diary the Newark area on the eve of war. She also provides details of military preparations and the inevitable conflict. Cundict lived on the western slope of First Mountain and was a member of the 'Mountain Society,' today's Presbyterian Church of Orange. Her pastor, the Rev. Jedidiah Chapman, was known as the 'fighting pastor.' In her first account Cundict reported that 'I Jest heard that All hopes of Conciliation between Briten and her colonies are at an end, for both the King and his Parliament have announced our Destruction; fleets and armies are Preparing with utmost diligence for that Purpose.' On Sept. 12, 1777, Cundict reported 'the Militia was called. The Regulars Comeover into esesabeth town (Elizabeth, New Jersey), where they had a Brush with a Small Party of our People they marched Quietly up to Newark; and took all Cattle they Could. There was five of the militia of Newark, they killed Samuel Crane, took Zadock and Allen Heady and Samuel Freeman Prisoners. They went directly up to the Second River (Belleville). Our People attacked them there, where they had a smart scurmage. Some was killed, there was several killed of the British, but the Number is yet unacertained.' Although Cundict's use of English was terrible by anybody's standards, her diary is still priceless as a contemporary account which helps reel in a bit of the past that would be totally lost in time. Elizabeth Clemantine Kinney was born in 1810 in New York City into a well-to-do merchant family. She was known for both her poetry and prose. A 1909 Newark newspaper article called her 'one of the cleverest women that ever lived in Newark.' Kinney received a good education at home and married twice. Her first husband was Edmund Burke Stedman. Their son, Edmund Burke Stedman, was a prominent Irvington banker and poet. In 1841 she married William Burnet Kinney, editor and proprietor of the old Newark Daily Advertiser. Later, he was with the Newark Evening News. In 1851 Kinney was appointed U.S. minister to Sardinia. When he served in the Court of King Victor Emmanuel, and at Tunis, she became 'a favorite in court circles due to her social and literary gifts.' After leaving the diplomatic service, the Kinneys moved to Florence where they became part of a literary circle that included the Brownings, Tennysons and Trollopes. All the while Elizabeth Kinney was writing letters about society that were published in leading American magazines and in Great Britain's prestigious Blackwood's Magazine and the Edinburgh Review. In addition to these letters, Kinney is remembered for her charming poems about the beauties of Italian moonlight and lakes and for drawing pictures of 'children and women of that land of sun and clear blue skies.' Locally she is best remembered for the poem 'Divident Hill,' the story about the historical division between Newark and Elizabeth. Children's author Amanda Douglas was born in New York City in 1831 and died at Newark at her home at 470 Summer Avenue in 1916. Her chief literary achievement was writing 50 children's books whose plots usually were set in girls' boarding schools. Douglas' style has been described as old school with a conservative view of love, tragedy and adventure. She began writing for the New York Ledger, Saturday Evening Post and the Ladies' Friend. Her first book 'In Trust' was followed by one or more a year. She is also known for the Sherburne Series and A Little Girl from Old New Orleans, A Little Girl from Old Chicago, etc. In 1897 she won a $2,000 literary prize from the Youth's Companion. Douglas' comfortable literary style found a place for her in many church libraries throughout the nation. Moreover, she became associated with and a good friend of 'Little Women's' Louisa May Alcott. Besides her children's books, she had an interest in historical writing, especially about the Crusades. Accuracy and serious research made her study permanently worth keeping on library shelves. Contemporary accounts indicate that Douglas wrote in longhand, making few corrections on the final copy. Douglas' local activities included membership in the Ray Palmer Club, 'the mother of all Newark's women's clubs.' She was vice president of the New Jersey Press Women's Club and also took interest in the Mary Fisher Home at Tenafly, a center for aged writers and artists. Confined to bed at the end, she died at home at 85 and was buried in nearby Mt. Pleasant Cemetery. One of Newark's best-known writers is Mary Mapes Dodge, 19th century author of 'Hans Brinker or The Silver Skates.' She was born in 1831, one of four daughters of Professor James J. Mapes and his wife and was educated at home in art, music and foreign languages. Mapes was widely read. The best educated of the four girls in the family, she married a New York lawyer at age 20. Their happy union produced two sons, Harry and Jamie, but Dodge's untimely death ended that chapter in her life. She returned in the 1840s to her parents' Newark estate in present-day Weequahic. Upon her return, she began her writing career, moving into a small cottage on the estate that became her writing center. During the day when the boys were attending Newark Academy she would write. Upon their afternoon return she became a full-time parent. When evening came, she would tell her sons bedtime stories which were later translated into chapters of her most famous book, 'Hans Brinker.' While other parents would merely read bedtime stories to their children, Dodge composed fresh ones which thousands of other 19th century American boys and girls later heard from their parents. Writing 'Hans Brinker' would have insured her literary fame. Yet her greatest accomplishment may have been editing the great children's publication, the St. Nicholas Magazine. As editor, she became acquainted with many of the nation's leading authors including Mark Twain around the time he was writing 'Tom Sawyer Abroad,' and Louisa May Alcott when she produced installments of 'Under the Lilacs' for the magazine. Mapes even questioned the young Rudyard Kipling on his capability of writing for the magazine. 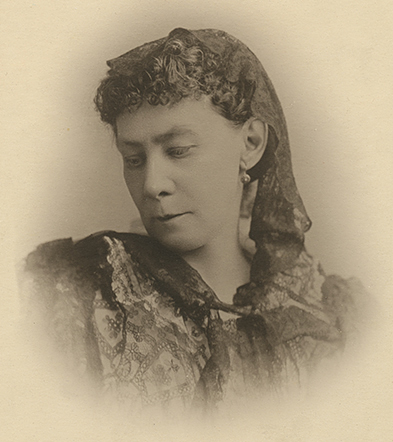 During her long editorship, she also developed a close relationship with Whittier and Longfellow, Ring Lardner, Cornelia Otis Skinner and Faith Baldwin. Dodge's life was long, happy and productive. Today, some Newarkers remember her and her famous scientist father when they travel along Mapes Avenue. But the old farmstead is long gone and forgotten. A high-rise apartment occupies its location. Neverthless, memories of a little Dutch skater will probably glide on forever somewhere in the world, thanks to Newarker Mary Mapes Dodge. Want to try something completely new this weekend? Why not pick up a copy of the tale and briefly step back into 19th century America. I don't think you will be disappointed. Josephine Lawrence was born in Newark in 1890 and died in New York in 1978. She wrote more than 30 novels, many for children, and adult fiction including 'If I Had Four Apples' and 'Years Are So Long,' both Book-of-the-Month Club selections. Lawrence was described as one of those 'women who earn their living with the pen and (has) brought fame to Newark.' Another contemporary also said of her that 'she was capable of stripping away the layers of sentimental fat from problems.' Sinclair Lewis said: 'As important as her striking into motives in middle-class America is Miss Lawrence's remembering the details of daily living, each petty, yet all of them together making up the picture of an immortal human being.' In 1921 she wrote the popular 'Man in the Moon' stories, which were broadcast bi-weekly. She also is credited with having written the first stories for children ever broadcast. In addition to her novels, a great portion of her career was devoted to plain old-fashioned hard newspaper work. For years she wrote for the children's page of Newark Sunday Call. She also served as editor of the household section. Later she became editor of the women's page of the Newark Sunday News and produced 'Bookmarks,' a weekly book review section. She also contributed to the New York Times Book Review section and the Saturday Review. In 1975, Lawrence completed her last novel 'Under One Roof.' Her book 'Years Are So Long' was made into a motion picture. Like many authors, she had her own routine for writing. Each day she arose at 5 o'clock in her Greenwich Village apartment and arrived at the Newark Sunday Call office by 7. After working all day, she would arrange to be home by 5:30 and devoted the hours between 7 and 10 to serious writing. She used weekends to catch up on sleep and life in general. A real pro, Josephine Lawrence combined solid newspaper work with artistic achievement. Theatrical patron Antoinette Scudder, a member of the well-known Newark News family dynasty, and granddaughter of a New Jersey Supreme Court justice, was a poet and painter who was deeply involved in the establishment of the Paper Mill Playhouse. Born in 1898, she lived in Newark most of her life until her death in 1958. While she was involved in all the arts, it was the theater that held her interest. She said of herself, 'Yes, I'm a jack-of-all-trades and (it's) a whole lot of fun.' Scudder wrote 30 plays, collected volumes of poems, and painted in oil and in watercolors. But it was as founder and president of one of the country's outstanding community theaters that she is perhaps best remembered. She lived in Newark with her good friend Marcelline Dunham and had a studio on the top floor of the theater filled with her paintings and handicraft. She shared her interest in the Paper Mill Playhouse with her brother Edward W. Scudder, with whom she briefly worked, to form a drama branch of the Newark Art Club. Eventually the drama branch outgrew the Art Club and became the Newark Art Theatre. For many years the Art Theatre had a Provincetown season. Eventually an abandoned old mill was purchased and enlarged into a 1,000-seat theater with red brick walls and pine paneled lobby. It became the Paper Mill Playhouse, one of New Jersey's leading theaters. Antoinette Scudder was an important link between intellectual literary Newark and the modern American professional theater. In 1934, Betty Jenkins Phillips, wife of Dr. A.A. Phillips of 212 West Market St., added to the region's local literary heritage by purchasing a copy of Phillis Wheatley's poems for her book collection. Wheatley was brought to America as a slave in 1761 and learned English well enough to write a volume of poems two years later. Accompanying the book was an affidavit acknowledging her authorship that was signed by 18 prominent Bostonians and the Massachusetts governor. Over the years women have played a key role in Newark's intellectual community as novelists, newspaper reporters, magazine editors, theater managers and even private book collectors. Little by little that enormous gap between the written accomplishments of by men and women seemed destined to close.